Some of you, especially those of you coming along to the Lacan Study Group, should be interested in this. 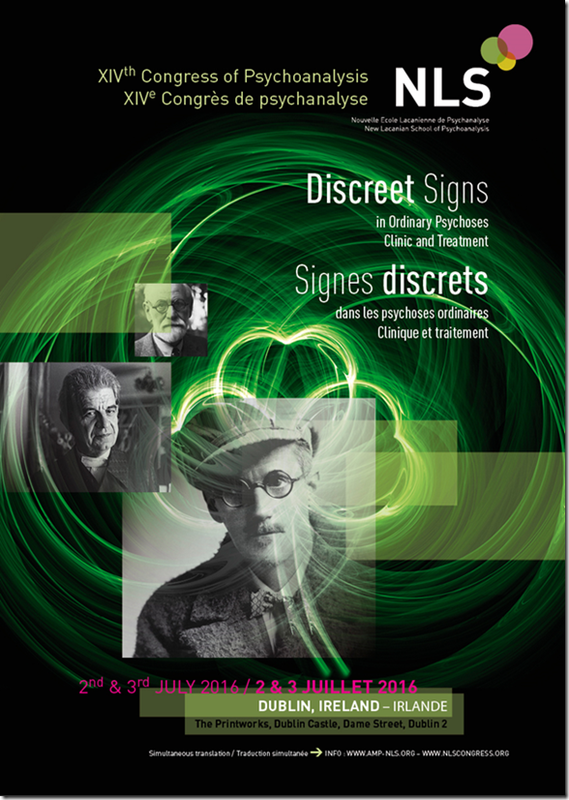 It’s the annual congress of the New Lacanian School which is happening on the 2nd and 3rd of July. Last year it was in Geneva, but this year it is closer to home, in James Joyce’s Dublin. If you like psychoanalysis or Joyce or indeed Guinness, it should be right up your street. You can click on the link below to register. I’ll be there!